1-2-3 Sports! Week of March 9, 2018 | 1-2-3 SPORTS! It doesn’t feel like an overstatement to say Ichiro Suzuki is the Michael Jordan of Japan. He rents out stadiums to train. There are signs at every table of his favorite restaurant demanding no photographs. 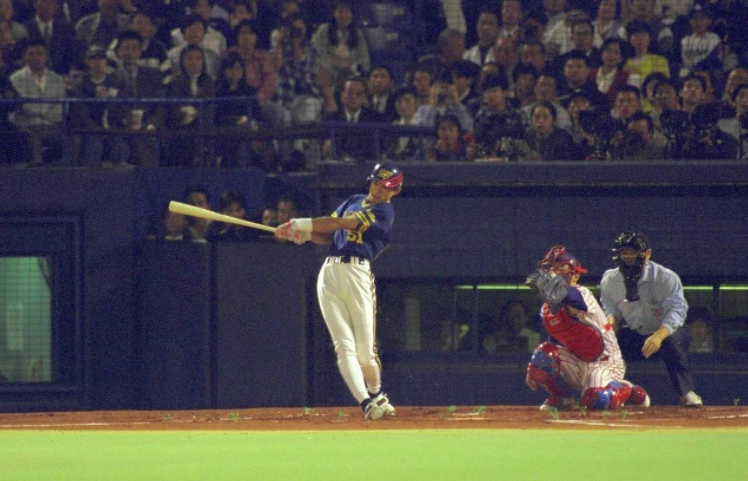 The Japanese press has covered his every move for his 26 seasons of professional baseball. At 44, Ichiro is prepping his last tour of MLB. While he looks to extend his career (Ichiro has previously said he wants to play until he’s 50), his time is about done, so Wright Thompson attempts to look back at the obsessive rituals that have both made Ichiro a Hall of Fame player as well as perhaps a trapped individual. His relationship with his father has defined him, for better or for worse. Ichiro has been in pursuit of baseball perfection since he was three. He’d had a baseball routine for 40+ years, and anyone who knows him wonders if he’ll be able to stop. TOB: Maaaaaan, do I love Ichiro. This story was sad, though; it’s not only a portrait of an aging ballplayer, seeing the end of the road, with no plan for life after baseball (Ichiro has previously said, “I think I’ll just die,” when asked what he’ll do after his career), a story we’ve seen before. 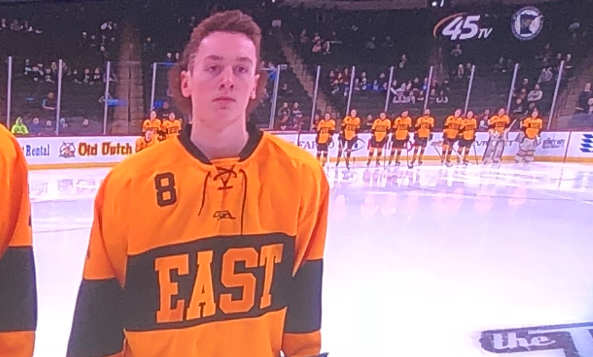 It’s also, as Phil said, a portrait of a man who made it to the very top of his sport, after a lifetime of obsession with doing so, by sticking to the same routine, day after day after day. Ichiro did so to the point I have to wonder, as a person absolutely unqualified to say this, not just whether Ichiro has OCD, but how severe and debilitating his OCD might be. And it’s also the story of a father and son, and how the father more or less robbed the son of his childhood by forcing him into these routines, day after day, not letting him play with friends or be a normal kid, only to have it create one of the greatest baseball players ever. And it’s about how, despite that success, the son resents the father for it all, even while continuing those same routines to this very day. And as sad as that all is, there are some fantastic Ichiro nuggets in here, as always. For example, Ichiro’s former teammate, Mike Sweeney, tells a second-hand story about an unnamed professional baseball player strolling through Central Park one day with his wife. 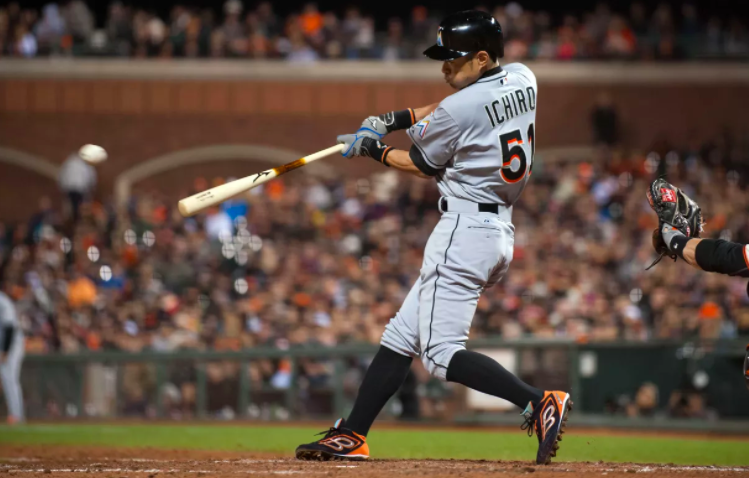 The player saw a man in the distance, throwing a baseball 300-feet, and hitting balls against the backstop with the “powerful shotgun blast of real contact familiar to any serious player.” Curious, the player got closer, only to discover Ichiro, on an off-day, getting in his reps. The Yankees clubhouse manager tells a story about Ichiro’s arrival to the team in 2012. Ichiro came to him with a serious matter to discuss: Someone had been in his locker. The clubhouse guy was worried something had gone missing, like jewelry or a watch, and he rushed to check. I will be sad when Ichiro retires, and I was very happy to hear the news that he had signed with the Mariners this week. I died laughing at this tweet, which shows Ichiro arriving in Seattle for the first time back in 2001, and again this week in 2018. PAL: Dammit, TOB; you have to ask Pop about wine. Make up some brand and ask him about the odd years, e.g., How about DeLillo’s 2011 cab, Underworld, from Paso Robles, eh? See that? I literally looked at the bookshelf and made up a wine. I need you thinking, TOB. I’m not roaming the streets of downtown San Francisco anymore. I need you at the top of your game, dude. I played it safe. Wisely. How Are Jon Lester’s Yips Not A Bigger Deal? No big analysis of a story here. I just want to pause to ask how the eff this isn’t a bigger deal? Jon Lester is top of the rotation pitcher for the Cubs, which is a serious contender again this year. Jon Lester can’t throw to first base. He can’t do a pick-off throw, and he has a hard time flipping it to first on the come-backer ground balls. He hasn’t been able to for years! It would be one thing if Lester was a bust in the midst of a breakdown. He is not. As recently as 2016 he was 19-5. He’s been a serious factor for 3 World Series champions. Shortly after entering the league, a narrative began to form around San Antonio Spurs’ superstar Kawhi Leonard. The narrative centered around the fact Leonard doesn’t speak very much. Many joked that Leonard was a basketball robot; quiet, hard working, tough, talented: the Perfect Spur. But this season has been a peculiar one for Leonard. He’s been dealing with a quadriceps injury that has caused him to miss all but 9 games. More curious, the team has cleared him to play, but he won’t. There have been rumblings this season that Leonard has grown disgruntled with the Spurs, feeling perhaps they are trying to rush him back from his injury, especially concerning for Kawhi because he’s just over a year away from free agency, where he will make a lot of money, but less so if not healthy. More recently, things came to a bit of a head. 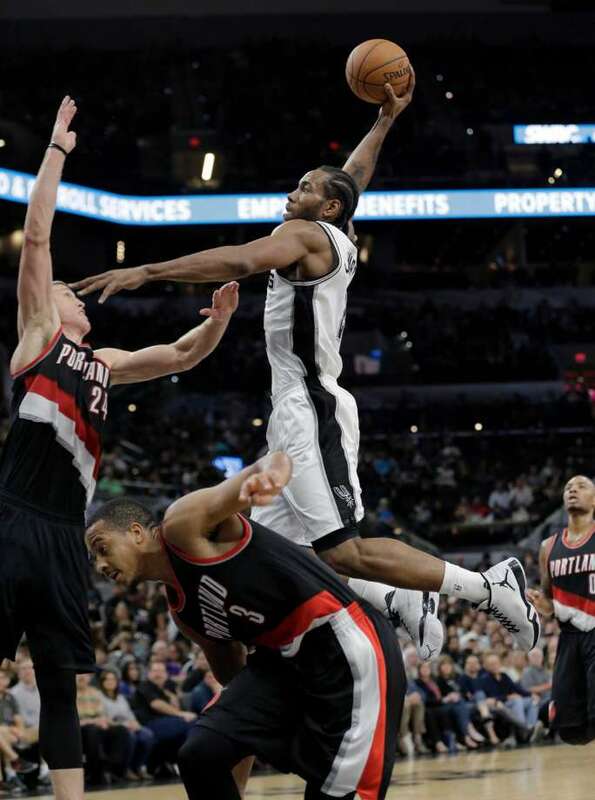 ESPN’s Jalen Rose reported that Leonard, the Perfect Spur, wants out of San Antonio. Then this week there were reports that Leonard turned down an extension offer from Jordan Brand, reportedly worth more than $20 million over 4 years. 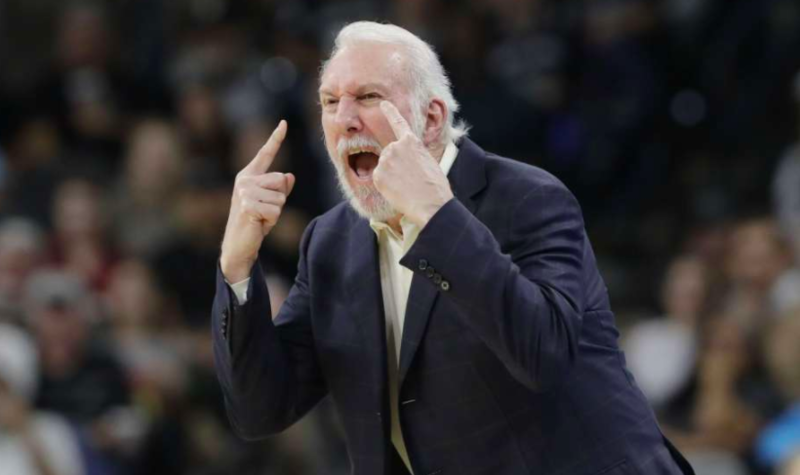 Suddenly, things doesn’t look so functional in San Antonio, where things have been functional since at least the late-80s, when they drafted David Robinson. This was all enough to prompt the Ringer’s Kevin O’Connor to wonder if the Spurs’ dynasty is finally over. We thought they were done when the #8 seed Grizzlies knocked them out of the first round in 6 games waaaaaaaay back in 2011. Nope. We thought they were done when they (kinda) collapsed in the Finals against the Heat in 2013. Nope. They won the title next year. We thought they were done when Duncan retired before last season. Nope, they were the #2 seed last year and made it all the way to the conference finals. But this feels different, and if Kawhi really does want out, there’s just no way they can rise from the dead of that one. PAL: Who will be Leonard’s main employer? Who will pay him more: a shoe company or a NBA franchise? As good as Leonard is, he is not a part of pop culture like LeBron, Durant, Harden, and Curry are, so I think his primary employer will be an NBA franchise, i.e., he’s not getting more than 20MM a year from a shoe company. Also, this might be a point in time where speaking up might help. If the notoriously quiet all-NBA player still feels he’s injured while the Spurs have cleared him to play, then he should speak up. If he doesn’t, then he risks being seen as a wimp to whom the Spurs are currently paying $18.8MM per year so he can personal concerns ahead of the team. Of course he wants to get paid what he’s worth, but this is not a Tim Lincecum situation when he was winning back-to-back Cy Young awards while making 400K and 600K in those years. Leonard is undervalued, but not to an alarming degree…especially if he’s missed all but 9 games this year with an injury he’s had in the past. Is he pissed because he feels the team is rushing him back, or is he pissed because LeBron is making almost twice as much as him? If it’s the latter, then moving forward he should follow LeBron’s lead and sign short-term deals and bet on himself while maintaining flexibility. That was a shot, right? I took her to the hospital and the doctors tried to save her life. They did the best that they could. And she is going to be okay. What hairstyle were you rocking at the time?